Discussion in 'Player Guides' started by Nannersss, Aug 2, 2017. Hello everyone! I am Nannerss aka ieatbananabread. Please note that some things may be subject to change due to the weekly updates. you want to start your journey right away. These are your stats (Located on the right-hand side of your screen). 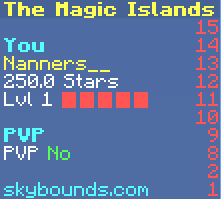 It displays your player name, challenge level, star count (aka balance), and much more based on where you are! The next thing you'll want to know about are Donor Ranks. 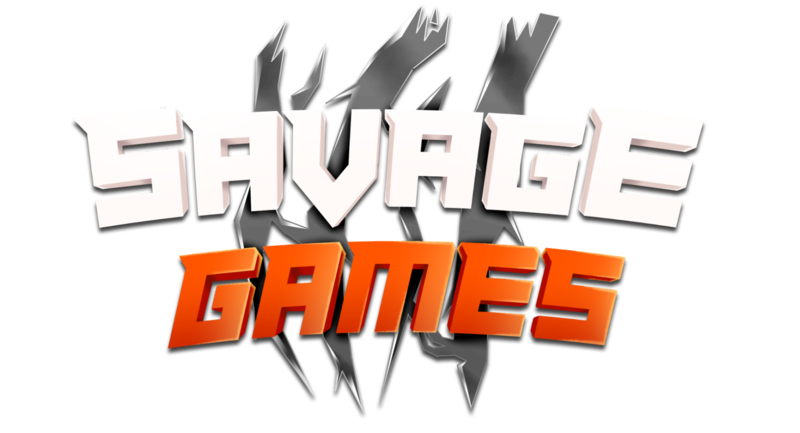 There are currently 3 at the moment, Ultra, Legend, and Savage. 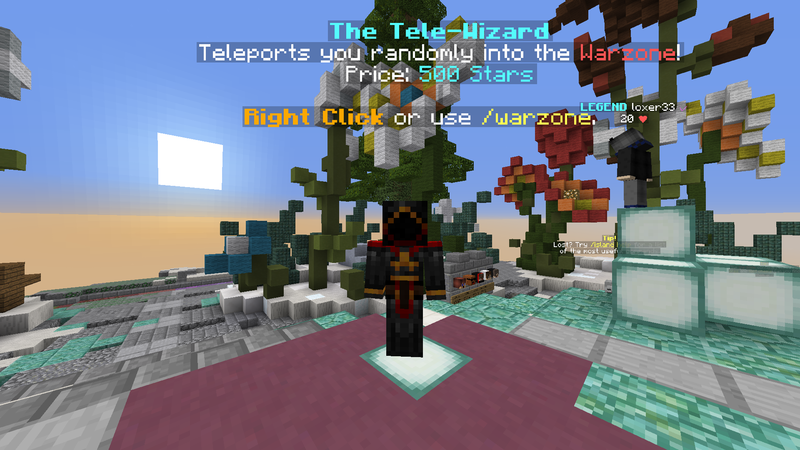 They all have amazing perks and I would definitely recommend getting one (However, for this tutorial I will have no rank to show it is possible for anyone to be a GOD at Skybounds! 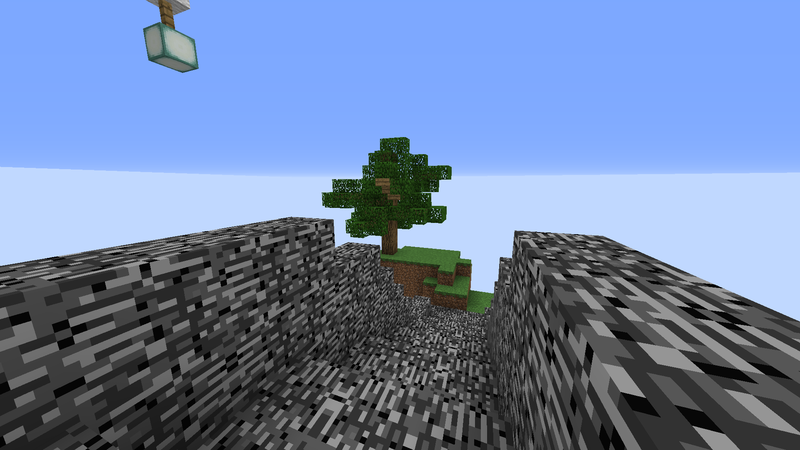 Now that you have some basic knowledge on the server, you'll want to create an island. This can be done with /is new. When the command is run, 3 options pop up. 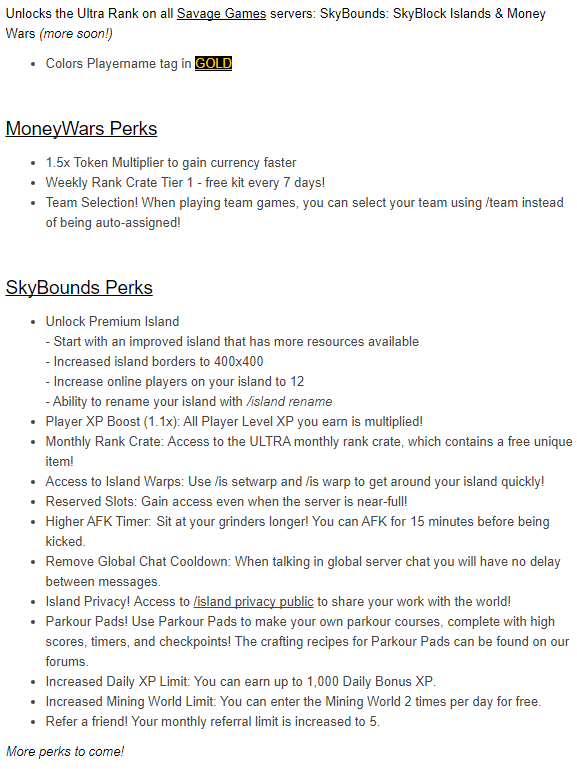 1] Import Old Island From BETA (Savage Exclusive), 2] Basic Template, 3] Premium Template (Requires a Donor Rank listed above). I will go with the Basic template to show that you don't need a rank to succeed. Once you select your island, you will teleported to your newly generated home! 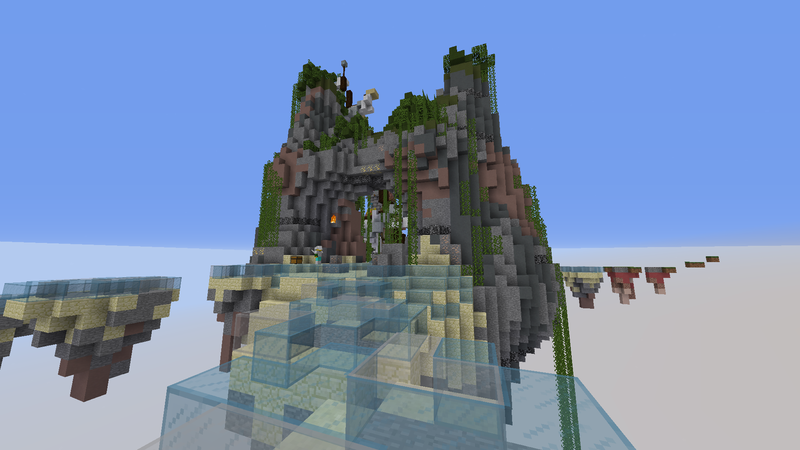 There are two sections, the main island and the dropzone. This is where you can store items, farm materials, complete challenges, and much more! 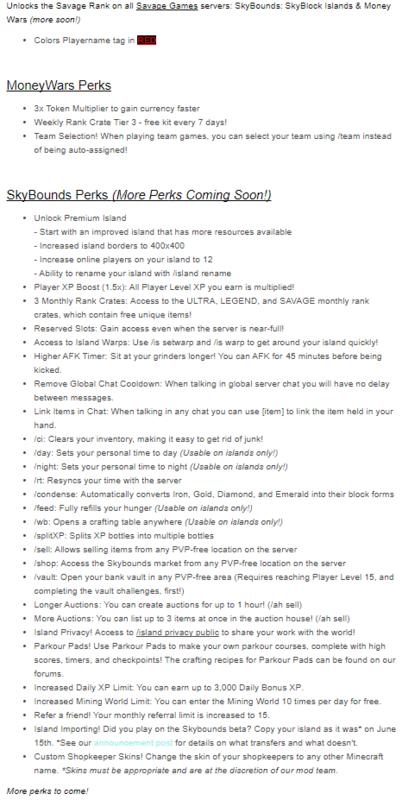 Once you've created your island and had a look around, you'll want to start completing challenges to level up. To start working on your challenges, you'll want to run the command /ch. 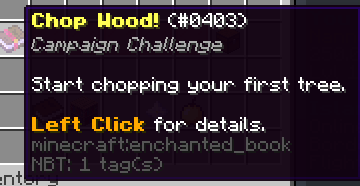 Your first challenge is to start chopping a tree (Hover your mouse over the book to see your current challenge. You'll notice that your challenge progress is displayed on the sidebar as you progress through the challenge. Once you complete the challenge, you gain XP, which is used to level you up. Global XP boosters and rank XP boosters are a great way to earn a lot more XP. After you complete a challenge, another one appears. You can check which one you have either in chat (when you completed the last challenge) or in the /ch menu by hovering over the book. Grind the first few and get yourself to Level 5. Use the Global XP Boosters to your advantage. Once you have reached Level 5, you will have the ability to do daily challenges. 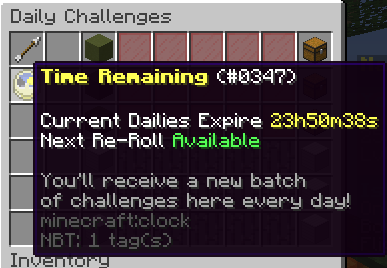 These, as said in their name, are challenges reset every 24 hours. These along with all of the campaign challenges are required to be completed in order to prestige. There are 4 different difficulties of challenges, Easy, Medium, Hard, and Expert. The harder the challenge, the more XP rewarded. You'll want to work on these a lot in order to level up quicker. 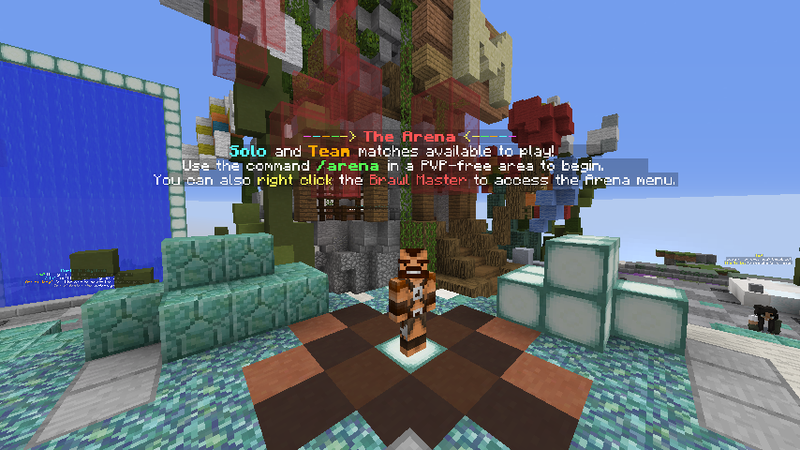 The Warzone is a very interesting and beautiful feature in Skybounds. There is a unique warzone for each island (each built by Team Vaeron). 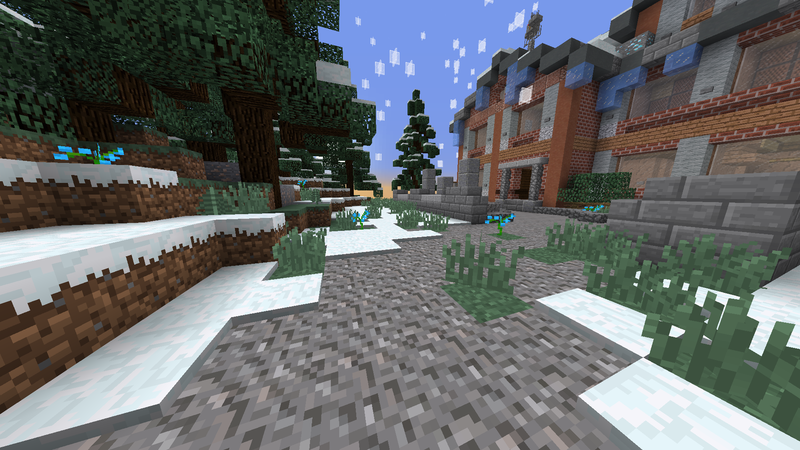 In the Warzone you can PvP, mine ores, collect loot, or explore. The first part I will talk about is the PvP. Once you engage in combat with anyone, you will not be able to enter any safezones or spawn. There are 5 safe places in the warzone (Spawn, North Outpost, West Outpost, South Outpost, and East Outpost.) There are also 3 different types of combat areas in the Warzone (Singlecombat, Multicombat, and the Boss Zones). Singlecombat is pretty self-explanatory. Once you're in combat with someone, no one else can harm you or the other user until the combat tag has worn off. Multicombat is also pretty self-explanatory. Multiple people are allowed to attack one person. Granted, it's not particularly kind to 10v1 someone, but it's allowed in that type of combat zone. The last one is the Boss Zone, which I will explain in a later section of this guide. 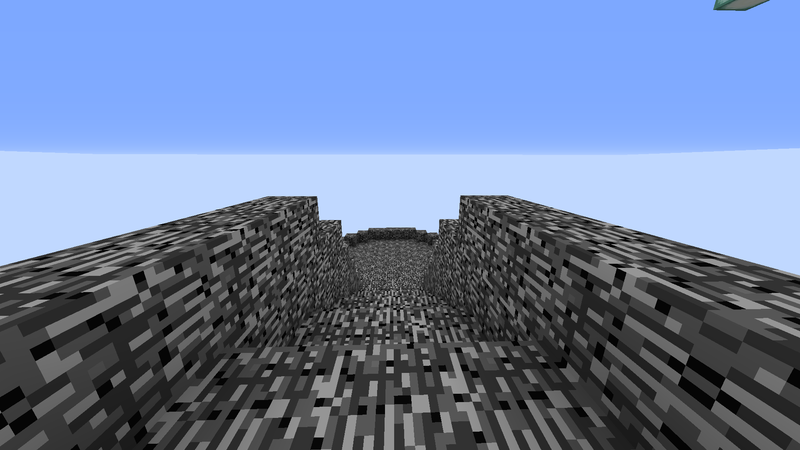 Next up, ores. Ores in the Warzone different from regular vanilla ores. You are able to mine them with absolutely anything (even a potato)! 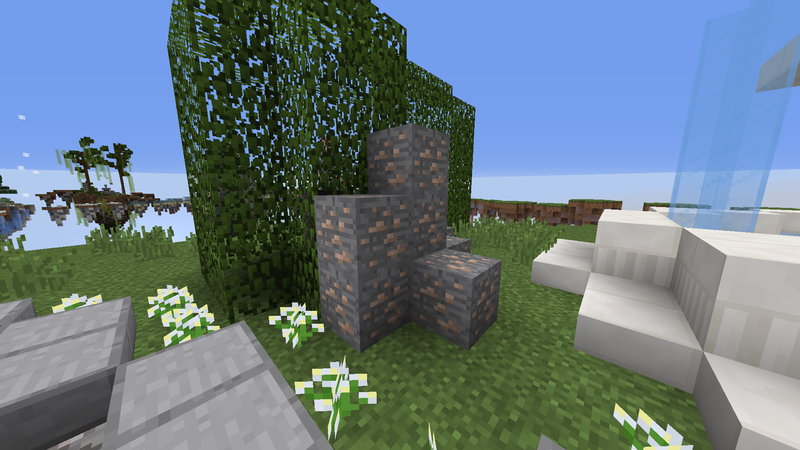 These ores regenerate after being mined but take a little bit to do so. Ores in the outposts take a while longer to regenerate than normal warzone ores. Second to last, is the loot! About every 8 hours, the chests in the warzone refill automatically with cool loot. This is called a "Skydrop". 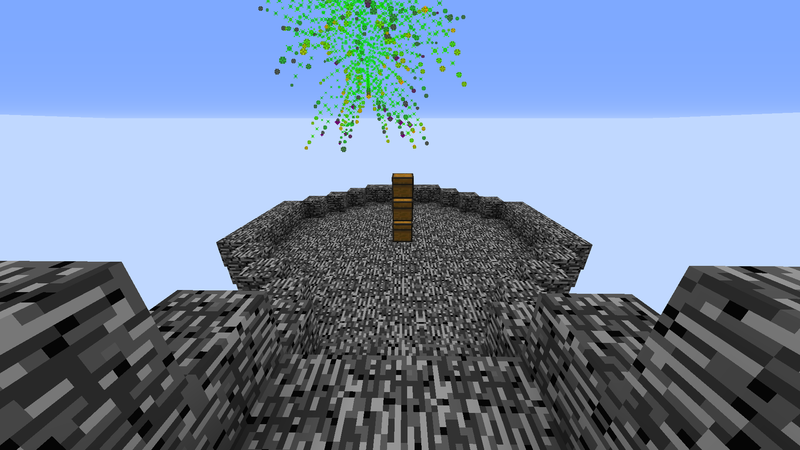 Players can also trigger a Skydrop by using a Storm Generator! There are 2 types of Storm Generators, Normal and SUPER. Normal restocks the chests like and auto-skydrop would. SUPER Storm Generators bring loot in bigger and better quantities! When a skydrop is activated, a message appears in chat and as a title in the middle of your screen. The last thing is, the Tele-Wizard! It can take you to a random part of the warzone for a small fee of 500 stars. You can use it by right-clicking the NPC or typing /warzone. The first and most efficient I will talk about is selling ores and mob drops. You can get ores from mining in the warzone or mining from an ore seed farm on your island (ore seeds will be addressed in a later section). Mob drops, though less valuable, can be obtained from mob grinders, mob farms, or simply killing random monsters on your island. This method is guaranteed to make you stars as long as you have patience to grind. To sell these items, you must go to the market. 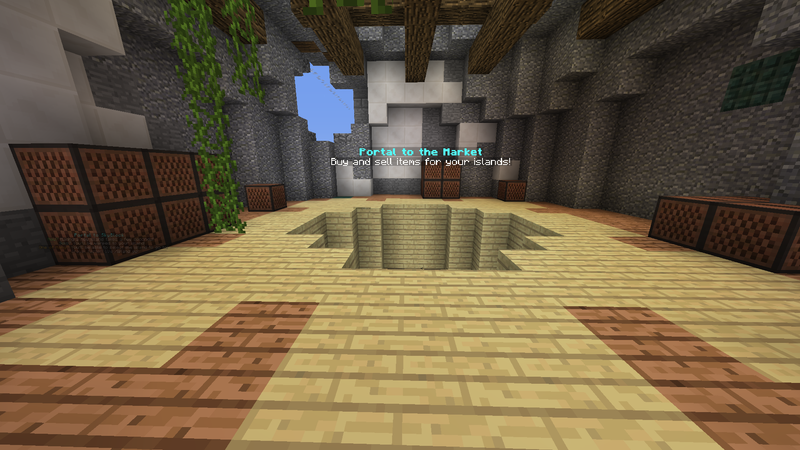 You can either use /sell (Savage only perk) or go through the portal to the market in spawn (looks like an end portal). Once in the market, you'll notice that there are many different vendors which all serve different purposes. 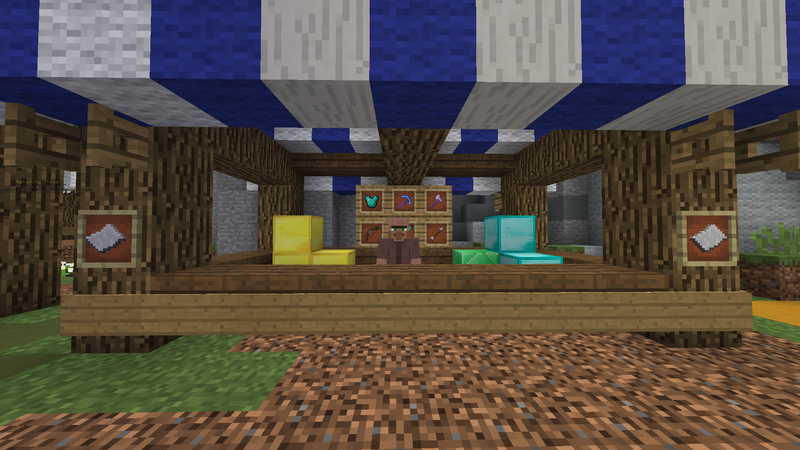 Whether it be buying a few seeds or alchemizing an enchant book, the market is the place to go for economy related things. To sell your items, walk up to a merchant that sells items and right click on them. There will be a GUI to buy/sell items. 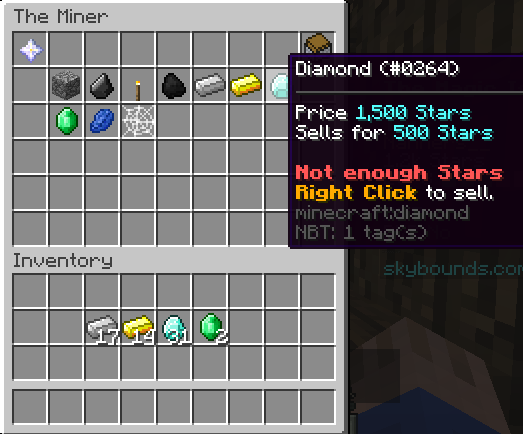 Right click on an item that is sell-able to the vendor. That will open up an inventory where you can throw the items you want to sell in. 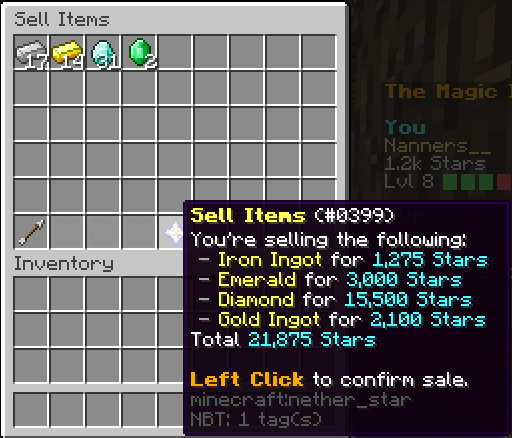 Once your items are in the inventory, click the nether star at the bottom to sell them and earn your stars. A message will appear in chat informing you of how much you gained from selling the items. 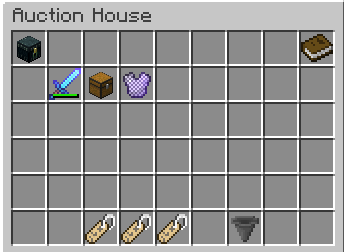 The next method is the Auction House. 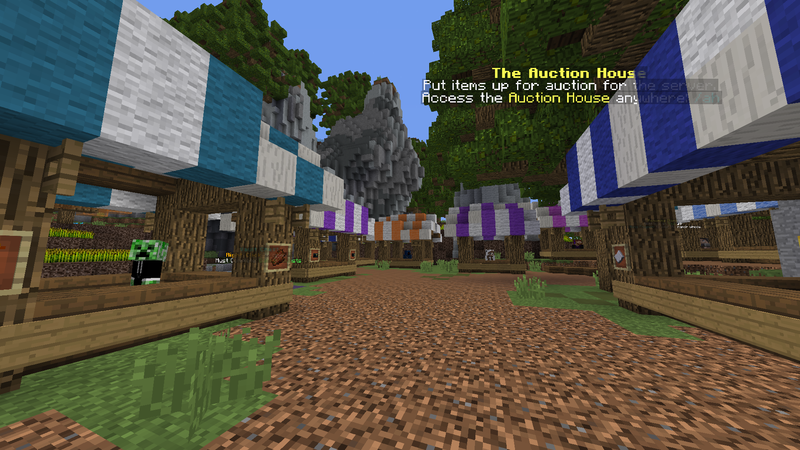 The Auction House is a place where you can bid on and sell pretty much any item in the game. To access the Auction House, run /ah view,v or right click the Auctioneer in the market. In the Auction House, you will see items that other users have posted on the Auction House. You have the option to bid or, if they included this option in the command, buy it straight away. To auction your own items, hold the item you wish to auction in your hand and run /ah sell,s <startingPrice> <time> <buyNowPrice(Optional)>. If you use this to your advantage, you can make a decent amount of stars from it. If your item sells, you will get a message in chat telling you who bought it and how much for (The Auction House takes a small percentage of your earnings). One very easy method is to use Economy Tickets. These are little pieces of paper found in the warzone that when right clicked, give you stars. If you hover your mouse over the item, it will tell you how much you will receive from redeeming it. 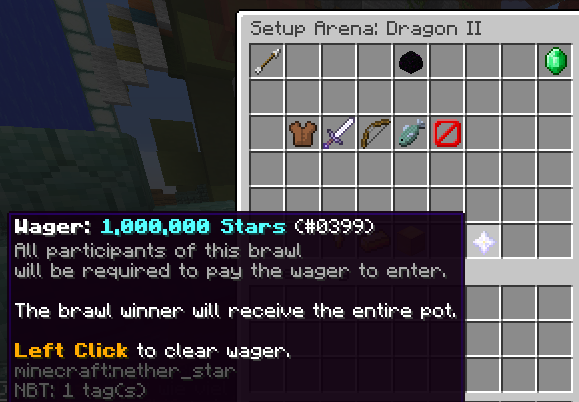 The second to last way is to win arena duels. 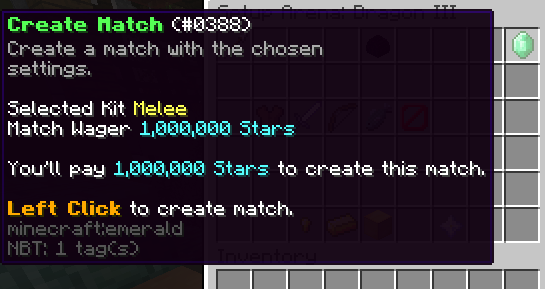 There are two different types of arena styles, but Duel Mode is where you can make stars. 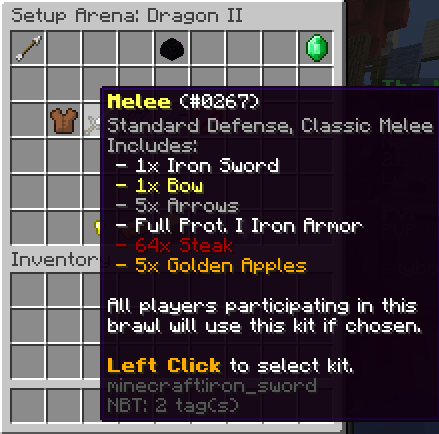 Either right click The Brawl Master in spawn or run the command /arena to open up the arena menu. You can select a kit and most importantly for earning stars, set a wager. When you and your opponent enter the arena, you each pay the wager fee set. Whoever wins gets the oppenent's money from the wager as well as their own. So if you're good at PvP, this is a good way to double your whole balance. The final way to earn a decent amount of money is the Bounty Hunter. Either run /bounty or right click on the Bounty Hunter in spawn to open up the Bounty Hunter menu. 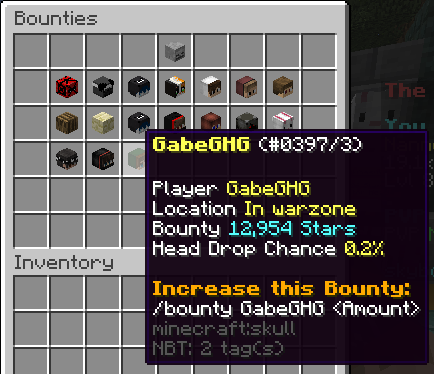 If a player is bountied, that means that when they get killed their bounty wears off and is awarded to the person that killed them. To bounty someone type /bounty <player> <amount> (This will take stars from your balance). So next time you see a player with a 20mil bounty running in the warzone, be sure to ATTACK. 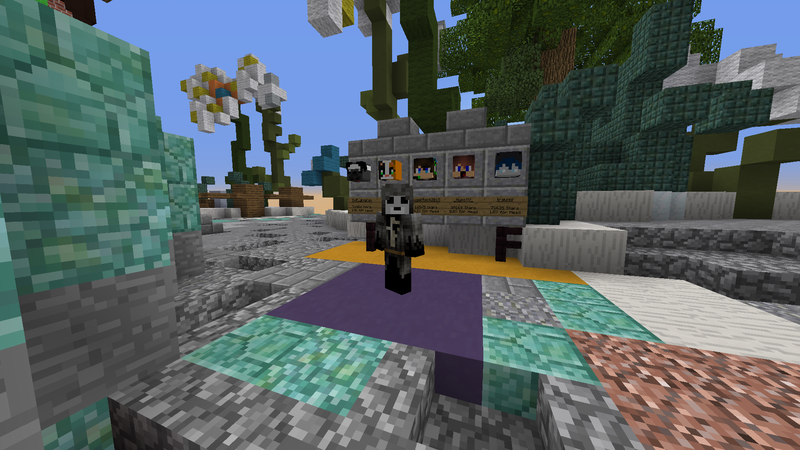 Throughout your journey in Skybounds, you're bound to run in to some form of hacker or trash talker. They will most of the time do whatever they can to ruin your game. Or they're just having a bad day and lash out at you. Luckily, Skybounds has one of the best staff teams around. They do anything they can to make sure the game is fair for everyone and that people can have a good time. There are certain staff assigned to each island, so be sure to get to know them. The four obtainable staff positions are the Moderator, Administrator, and Head Administrator. There are also the Owner and Community Manager positions, but they aren't obtainable. You start as a Moderator, and work your way up the ranks. These are the most trustworthy and kind people on the server. They're very approachable and are always open-minded to ideas. All staff are over the age of 15 and for the most part have a clear punishment record. They monitor chat, answer questions, punish rule breakers, and much more! Moderators can be identified in-game and in the public discord with a bold and purple nametag. Administrators can be identified in-game and in the public discord with a bold and green nametag. 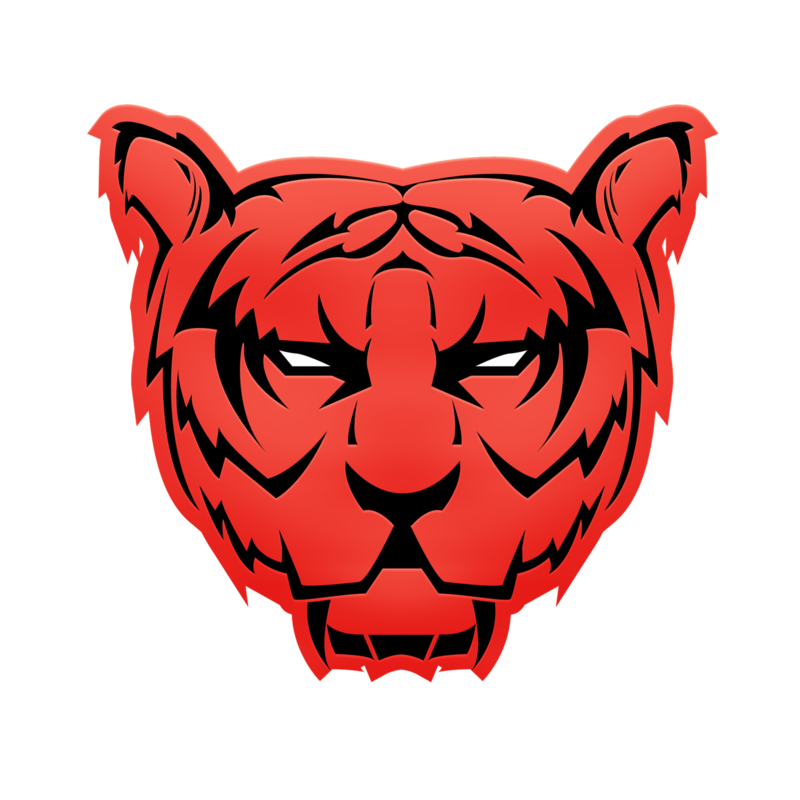 Head Administrators, the Community Manager (Gnoxal/Zora/Lauren/Renhax), and Owners can be identified in-game and in the public discord with a bold and red nametag. Besides chat, they can also be identified in-game with either a Mod or Admin prefix above their head. They may seem scary on the outside, but trust me, they're very kind and approachable. Head Admins and above have a special perk which allows them to queue a server restart when needed (Keep in mind these also happen every 8 hours). These are mostly needed when they need to fix a bug. There are 3 places you will be notified when a server is queued to restart (Chat, your scoreboard, and the action bar). By now you will want to start enchanting your items. In order to do this, you must be level 10 and must complete all 5 enchant quests. To start, right click an enchanting table. a message in chat will pop up asking you to click it to begin. After clicking it, it should show up in your challenge menu. 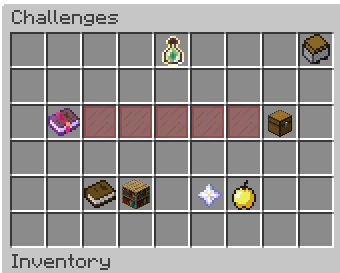 Click on the challenge to open the inventory into which you put your items for the challenges. They are quite tricky, so good luck! Enchanting XP is basically the XP you get in vanilla used for enchanting. The only thing different is that it's bottleable and used for a different kind of enchanting. You will learn about XP bottling in the next part. 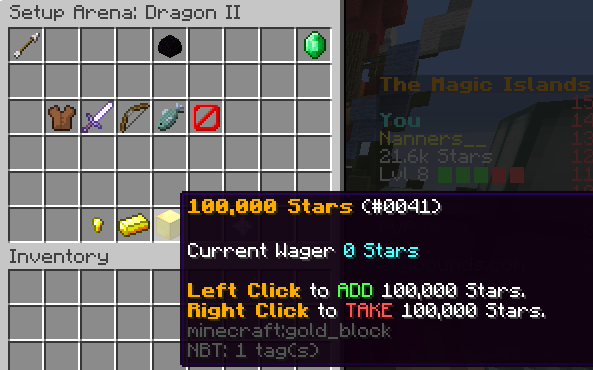 But for now, you just need to know that XP bottles give Enchanting XP on right-click and that they are used for enchanting. Item XP is a bit different. It is, as clearly stated in its name, XP used for items. 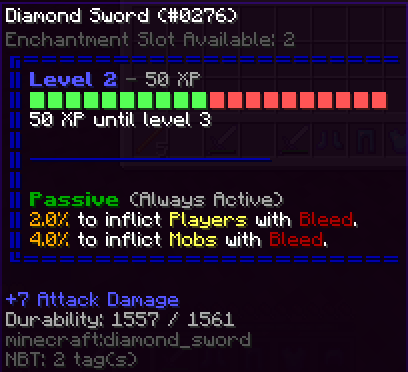 The more item XP on the tool, the more levels, and the more levels, the more enchanting slots for the item available. When items reach certain levels in Item XP, they also unlock special abilities! Item XP is also found in bottles. Both Enchanting XP bottles and Item XP bottles can be combined by clicking one onto another one. 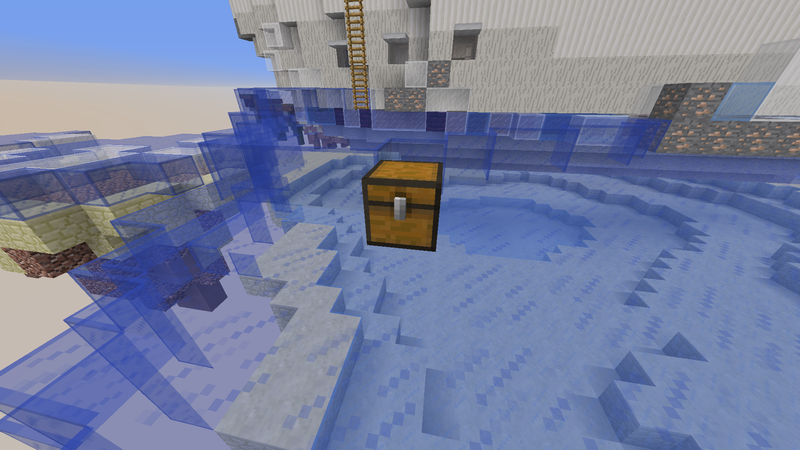 Item XP is obtainable from bottles across the land of Skybounds, grinding (killing mobs, mining ores, etc. ), and blacksmithing tools (to be discussed in a later section). Skybounds has a custom way of enchanting things. Once you open up the menu, you can either select the option to Enchant or Dis-Enchant. 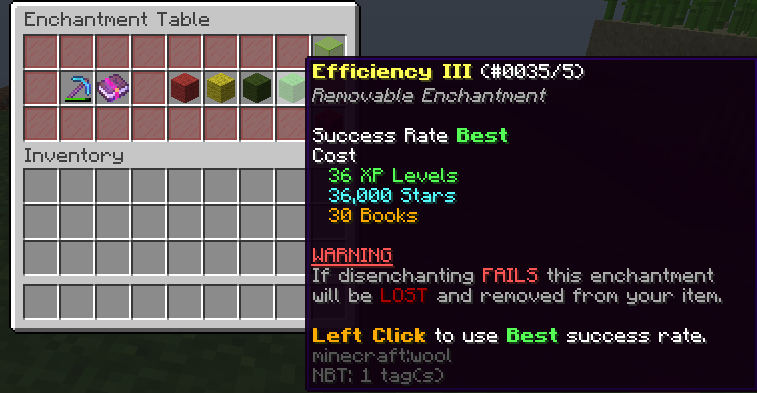 To enchant, click the item you want to encahnt and the enchant book you wish to apply to the item (they will automatically fill in). 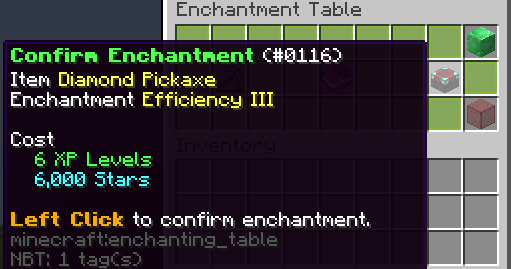 Then you click the enchanting table on the right side of the inventory to confirm the enchant. 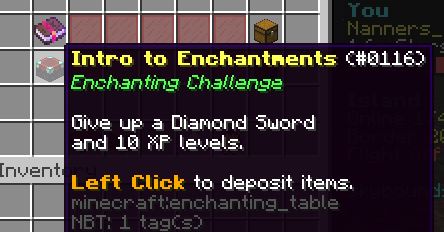 Note that based on the enchantment, it will cost a certain amount of Enchanting Levels and stars. Disenchanting is almost the opposite of enchanting, but has a big risk and costs a lot more. First, select the Disenchant option. 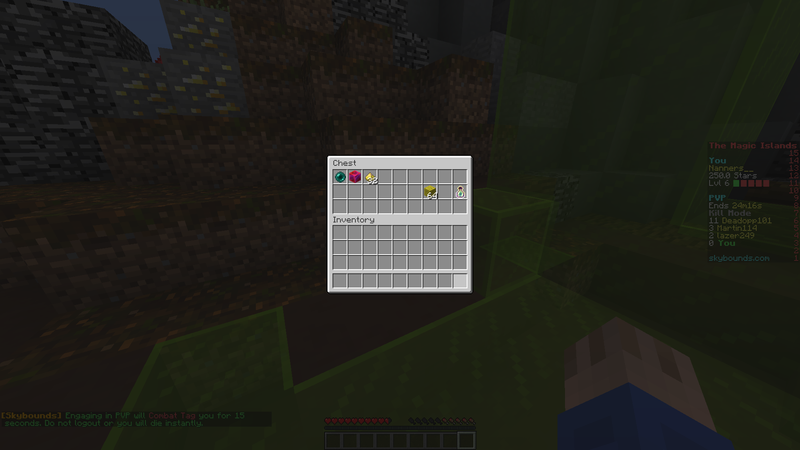 Then throw the item you wish to strip the enchantment off of into the inventory and and select which enchant you want to take off. There are 4 different possibilities, the higher the chance of success the more expensive. 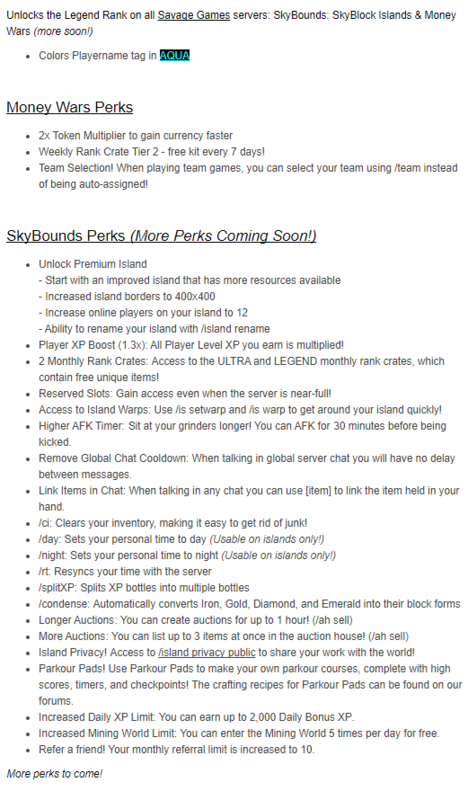 .. and they added the Guide Book a while back, which shows you everything you need to know about Skybounds. This can be summoned in using /guide in-game. Thank you all for the support on this thread. I'm sorry it never did get completed, but it was fun to make what I did of it.